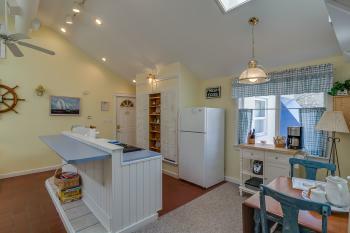 Cottage Lighthouse - Cute and up to date! 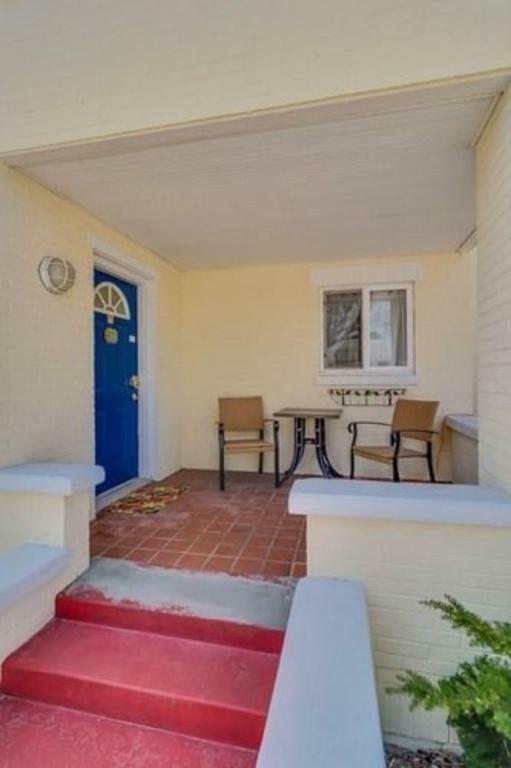 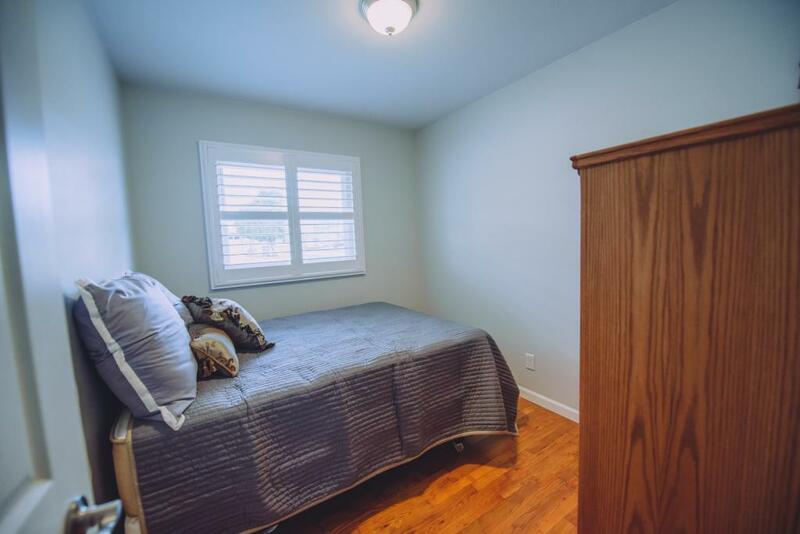 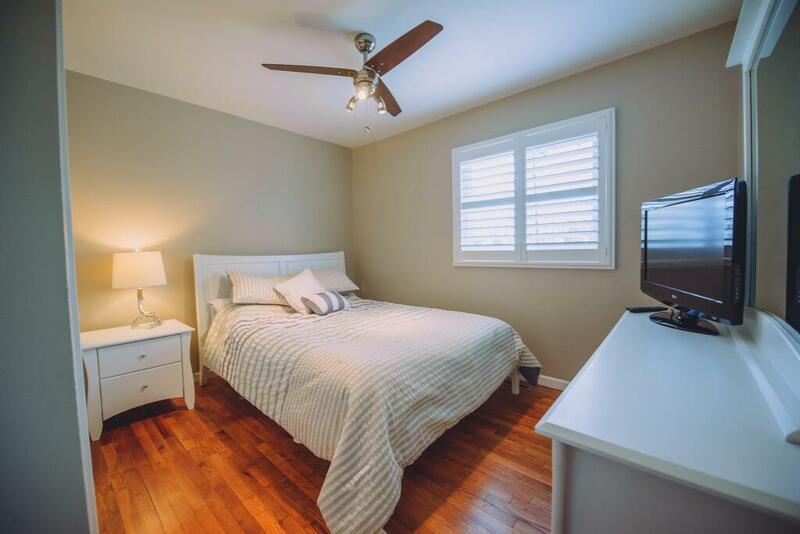 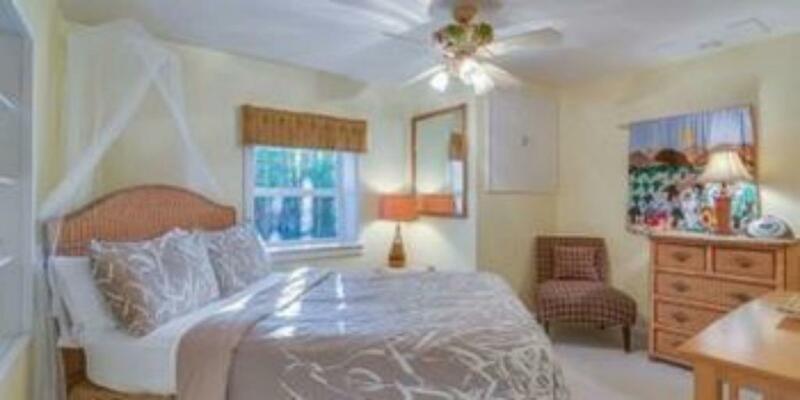 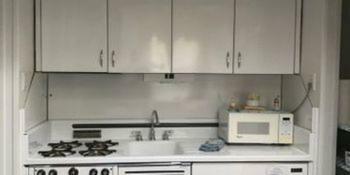 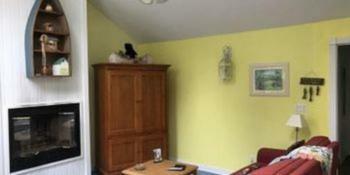 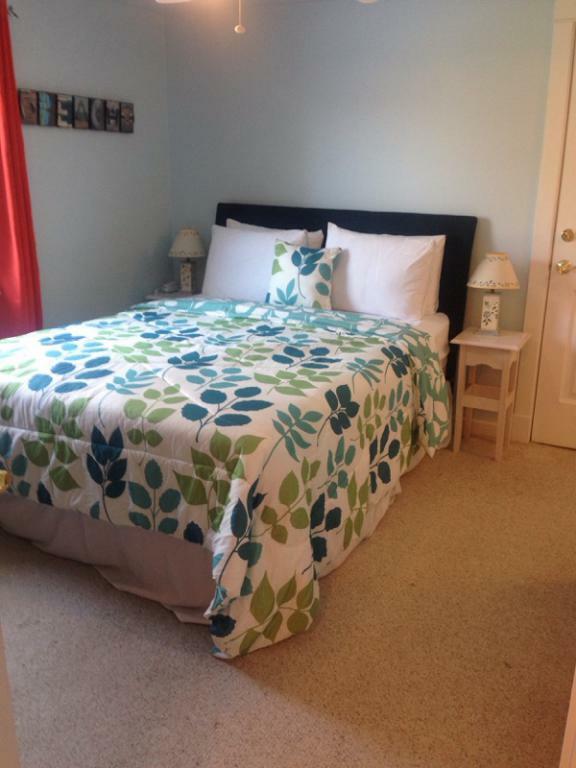 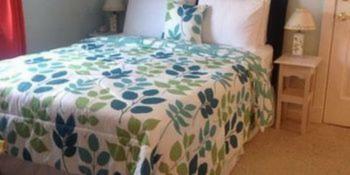 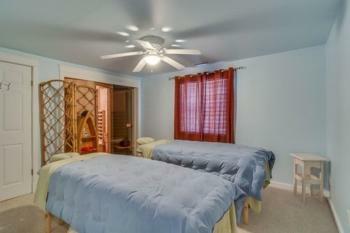 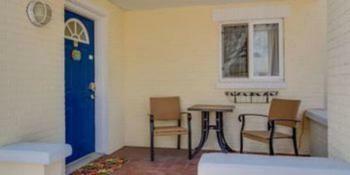 Spacious bungalow with 2 bedrooms with queen beds. 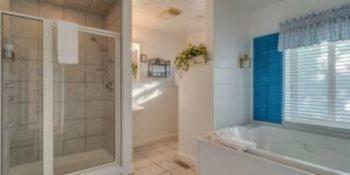 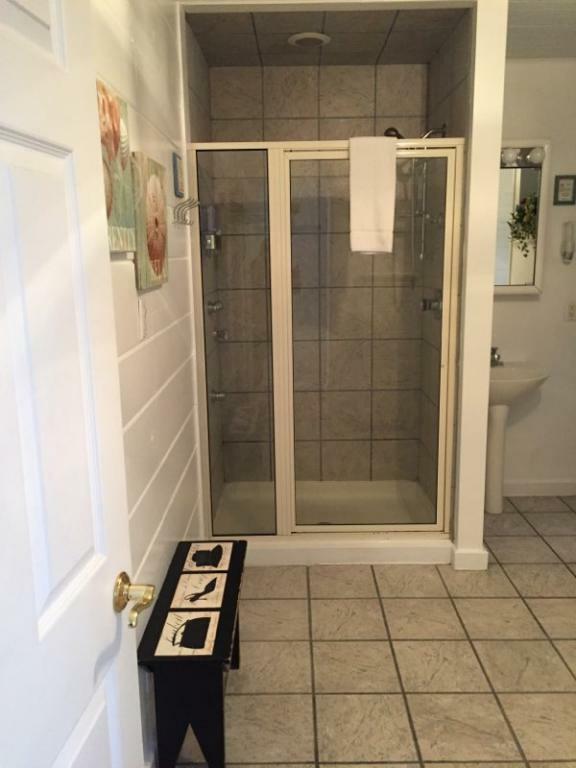 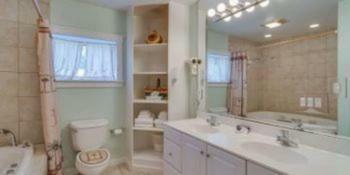 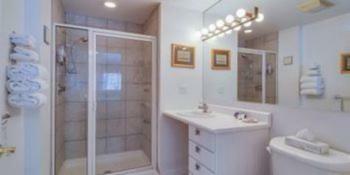 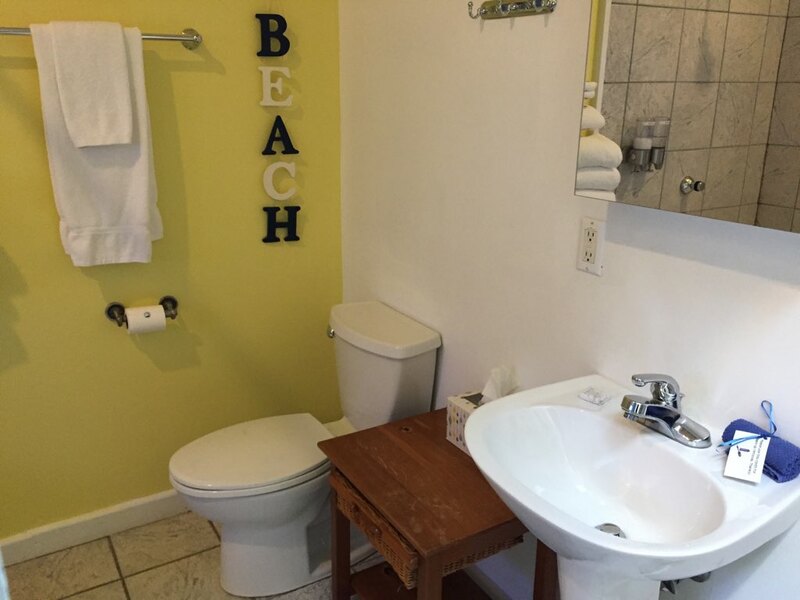 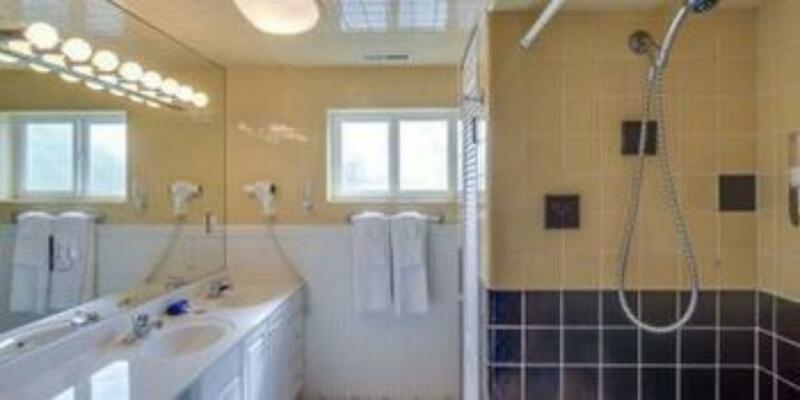 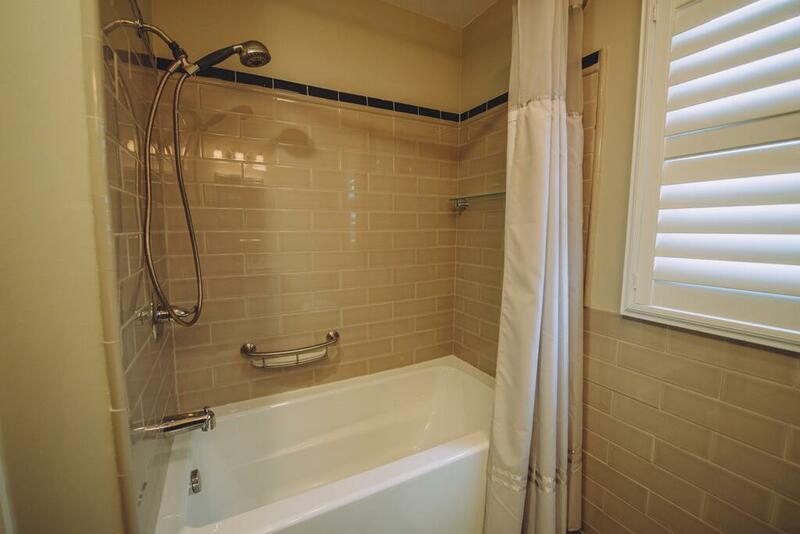 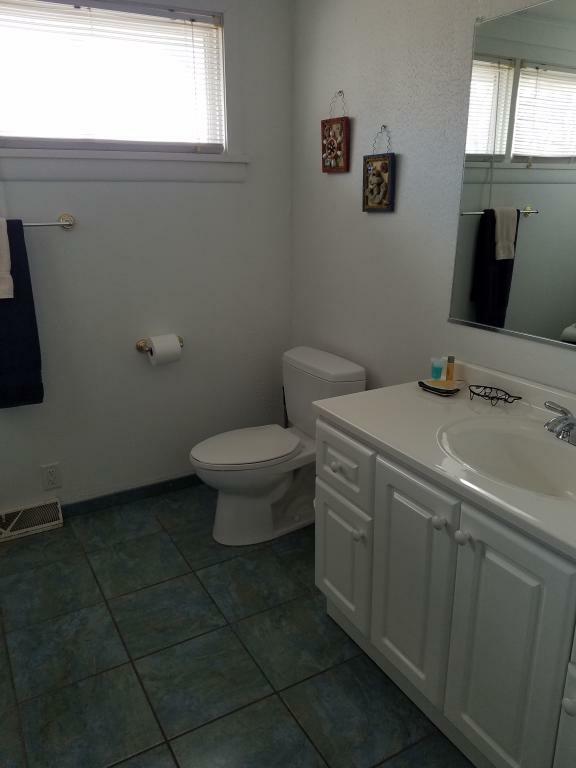 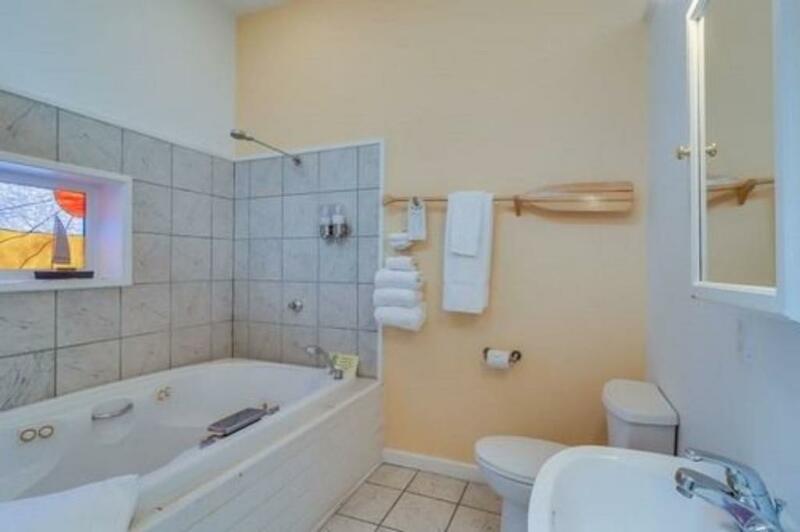 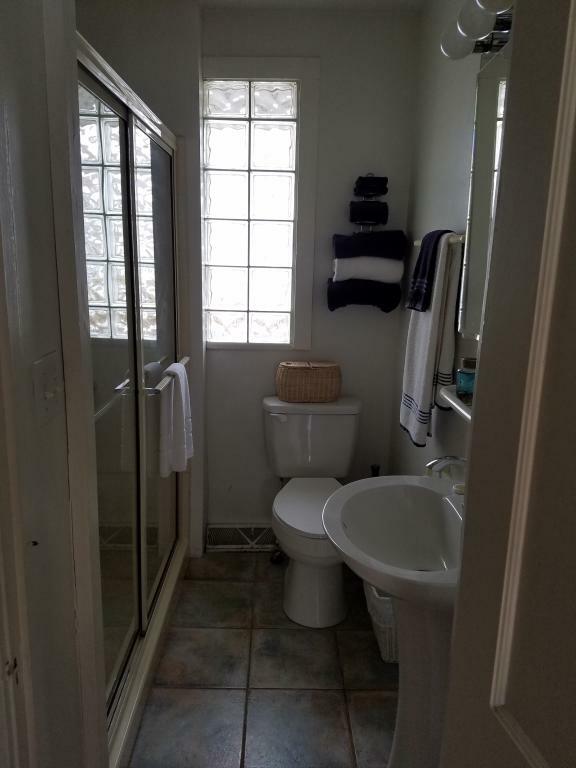 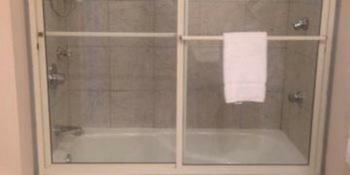 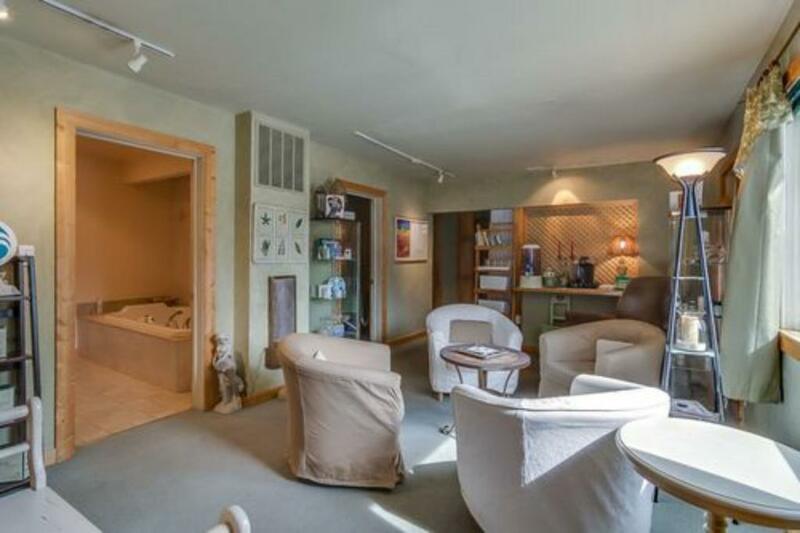 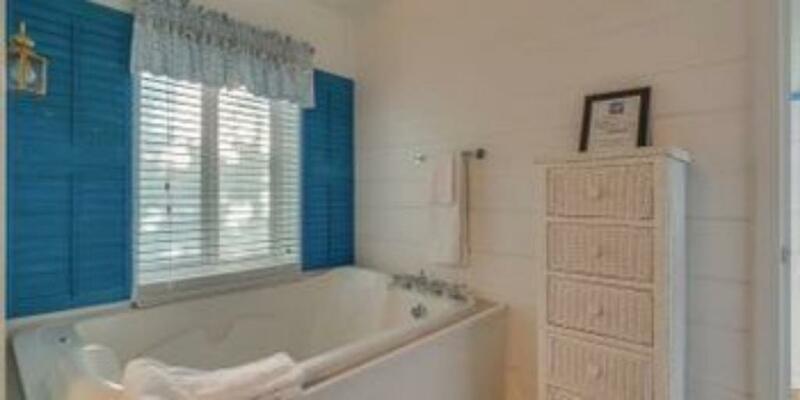 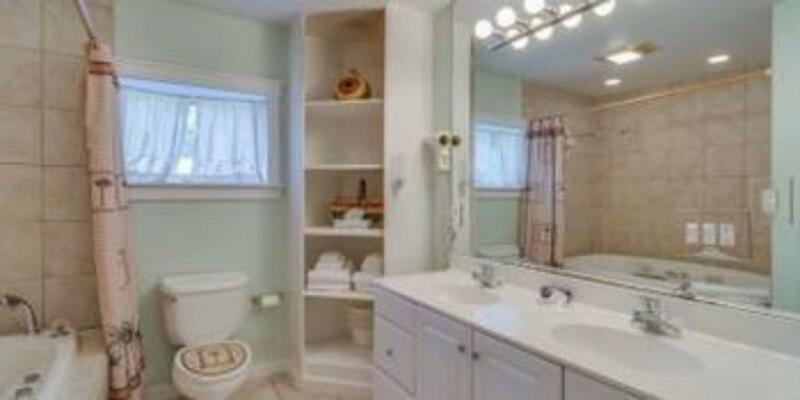 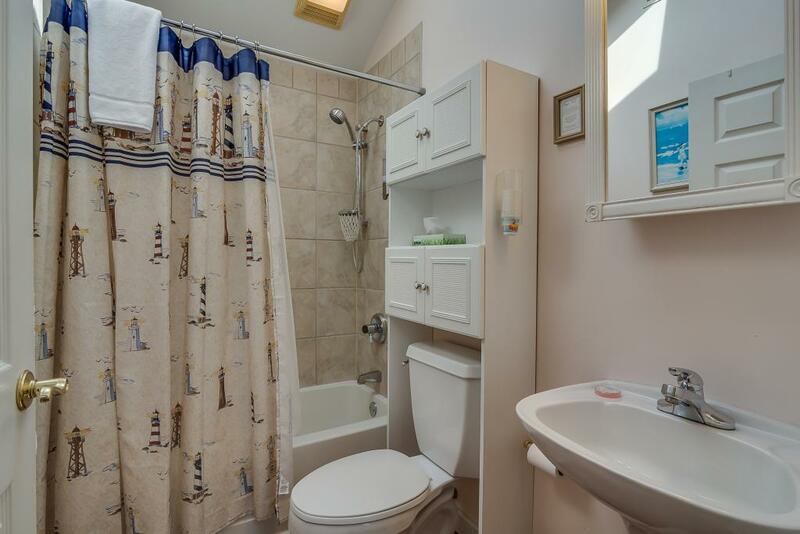 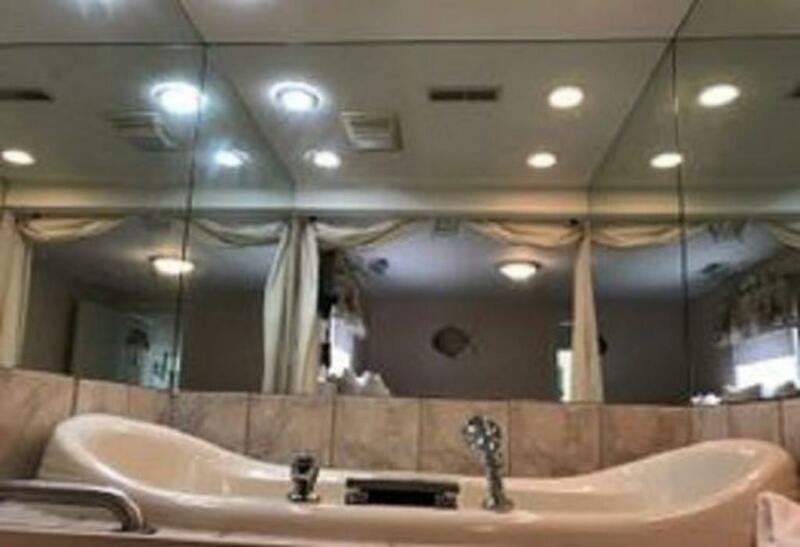 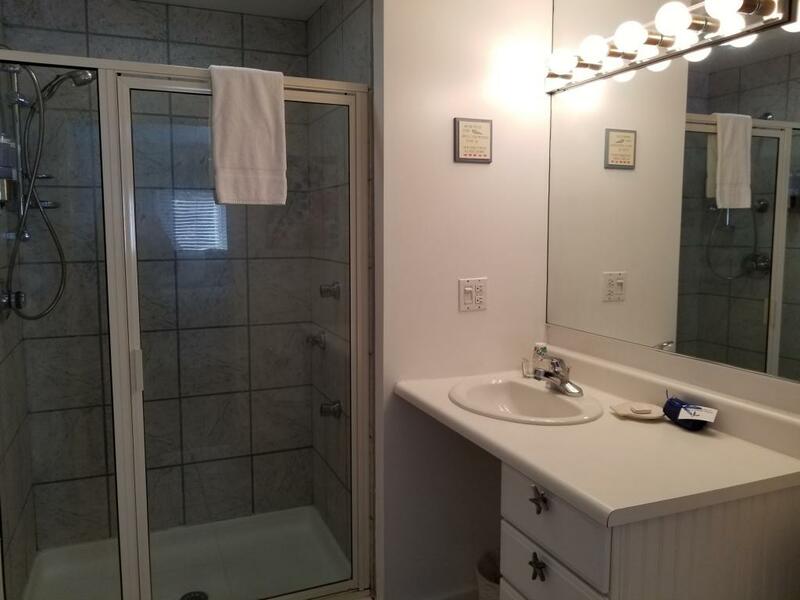 2 bath rooms with oversized showers. 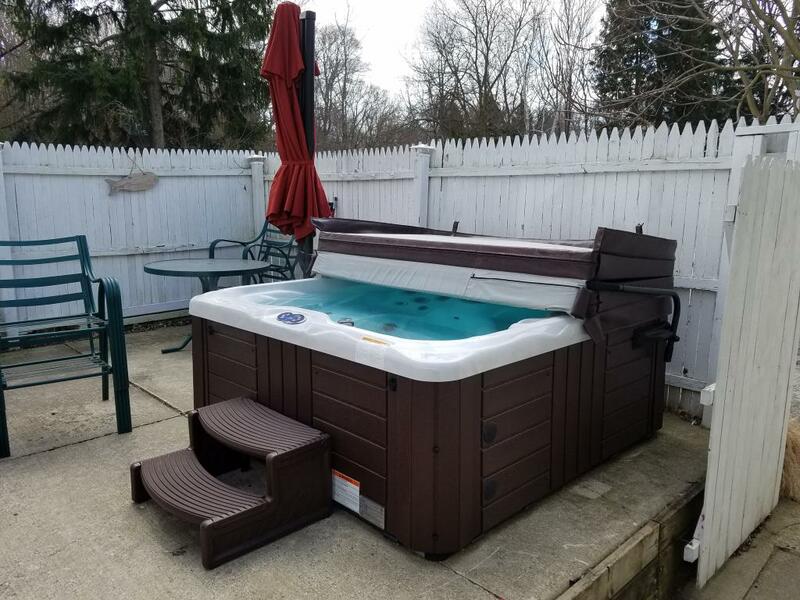 Hot tub just out the back door! 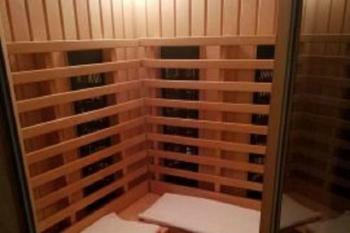 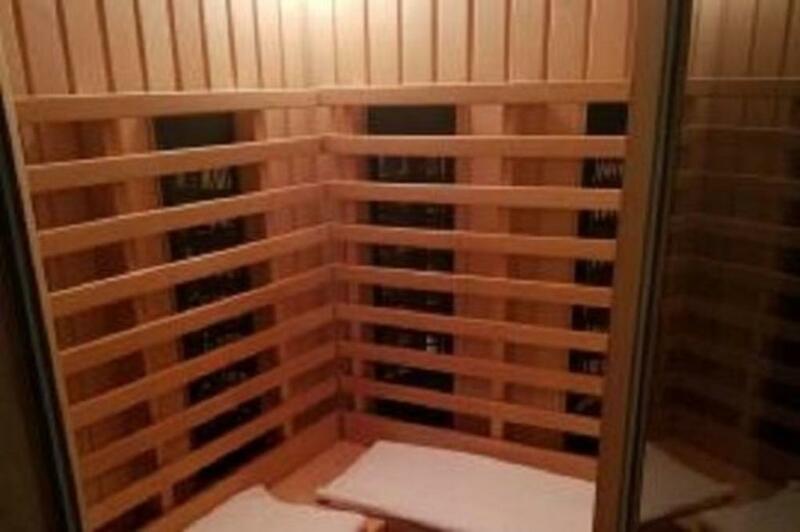 Sauna in lower level. 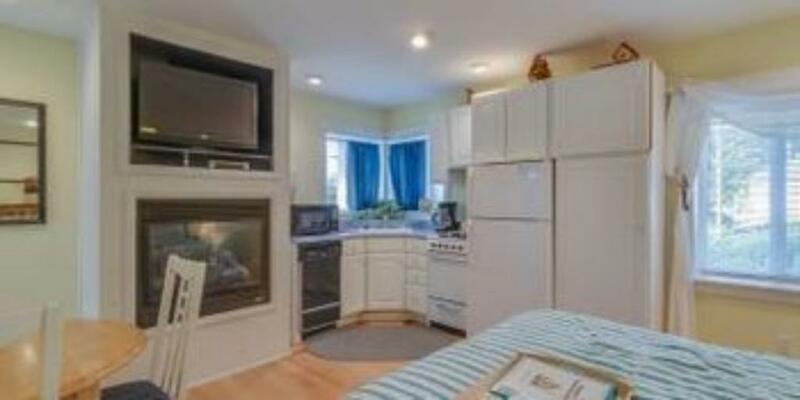 Washer/Dryer in lower level. 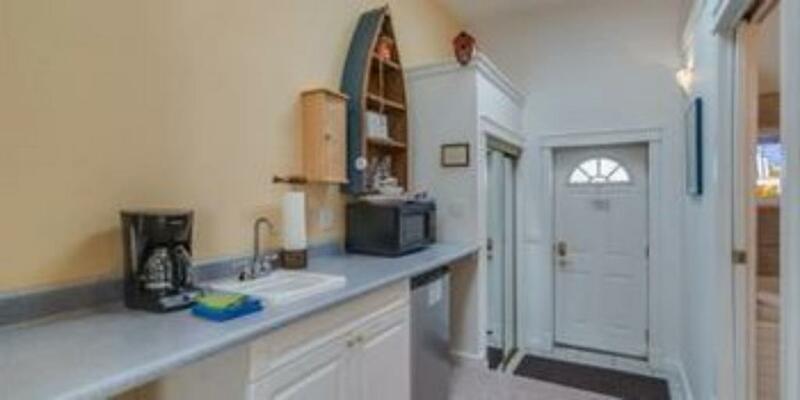 Pet friendly with fenced area for your dog. 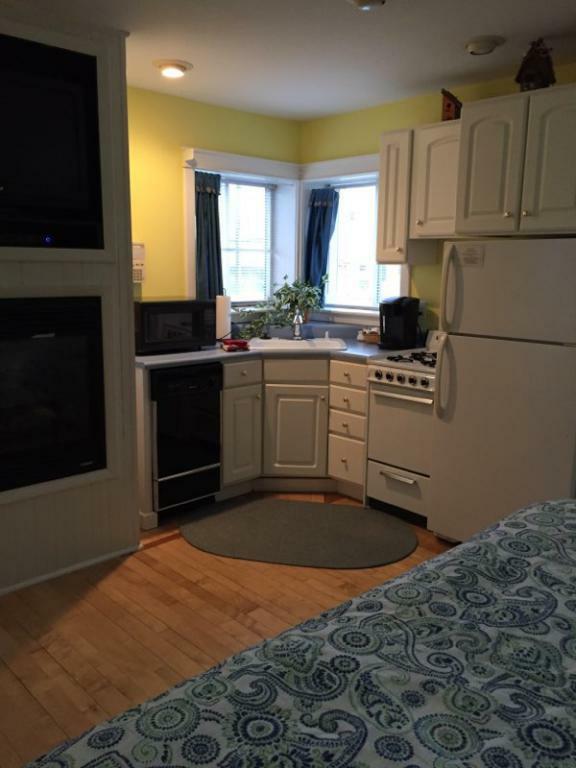 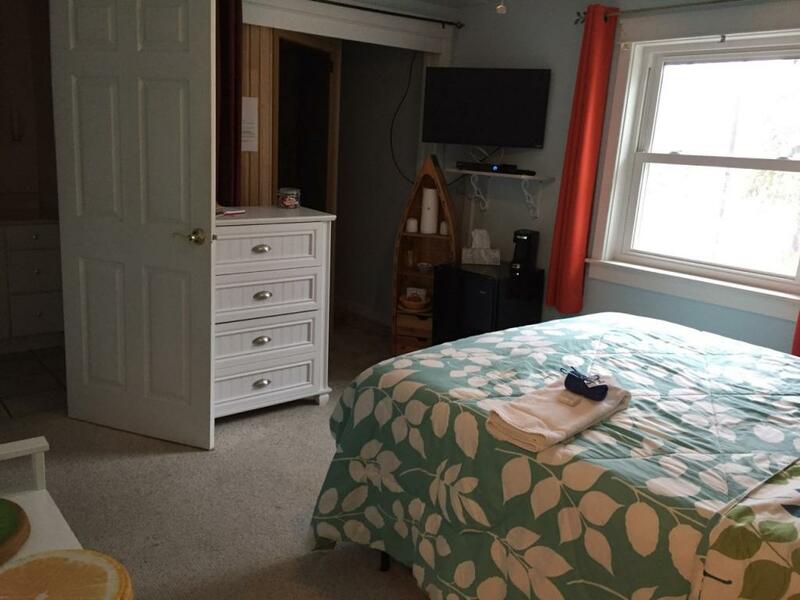 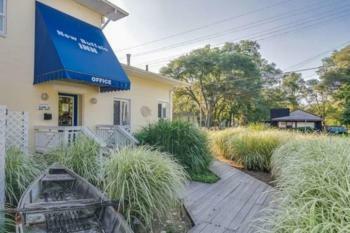 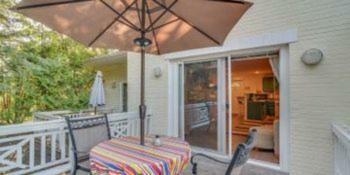 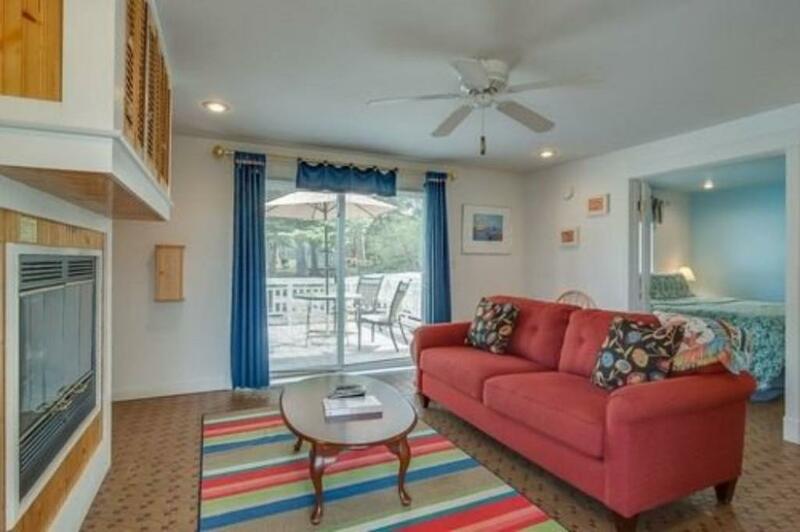 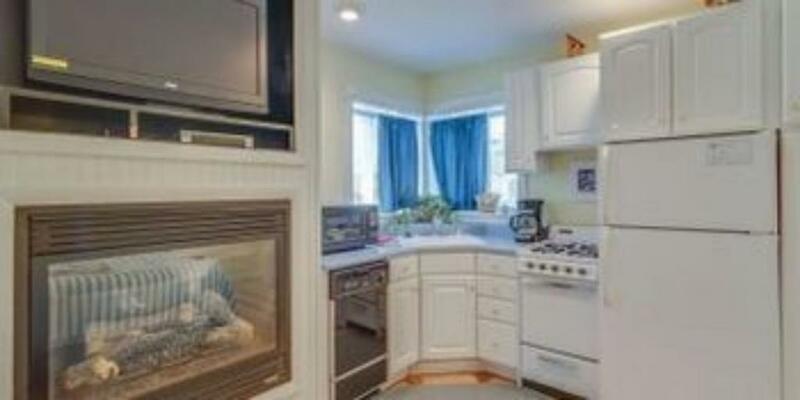 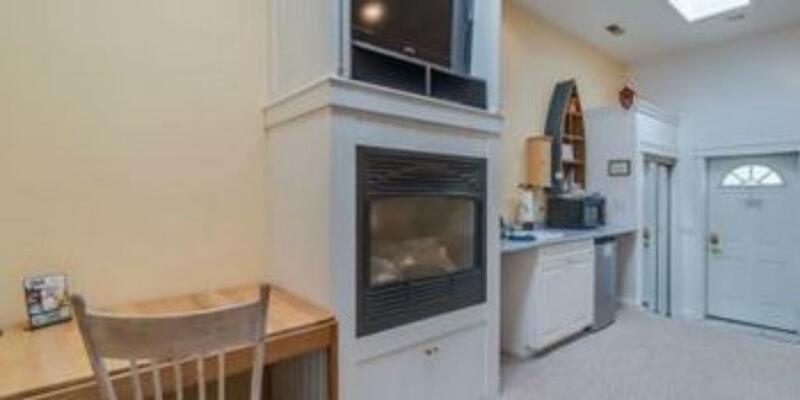 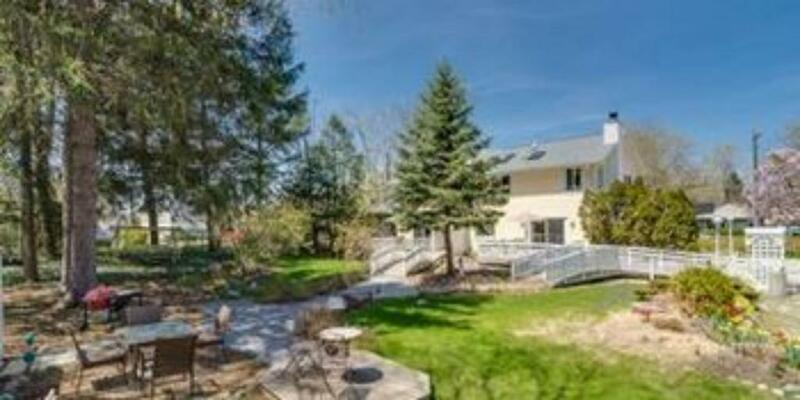 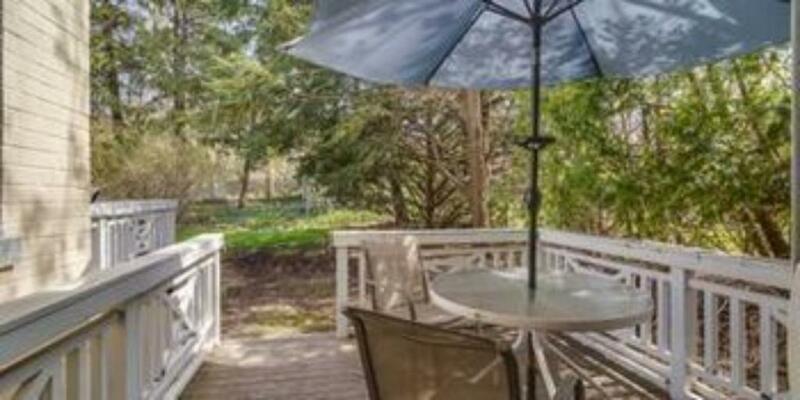 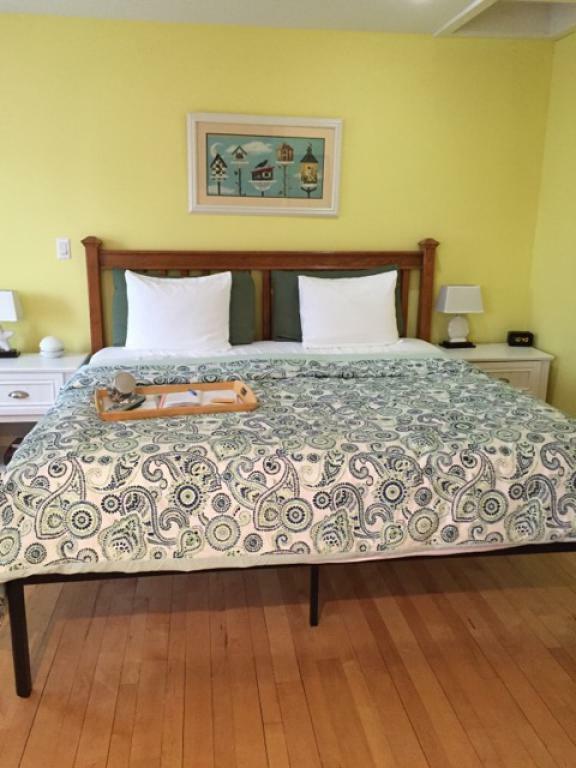 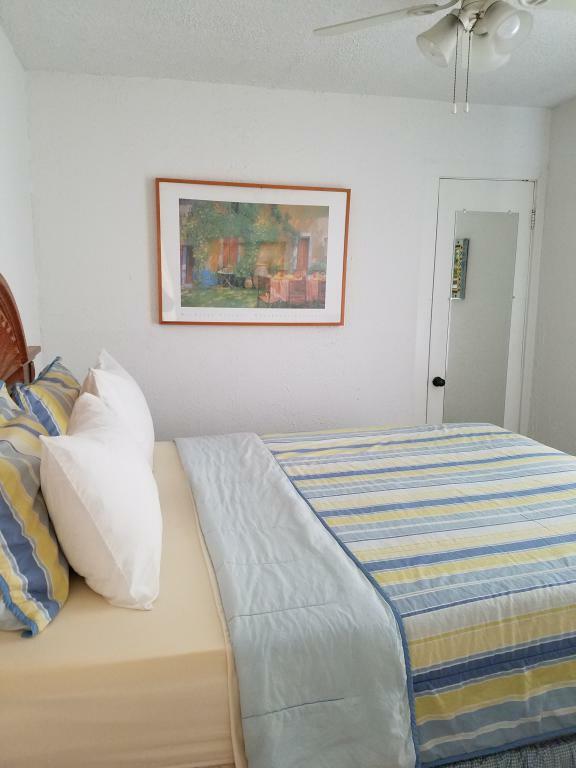 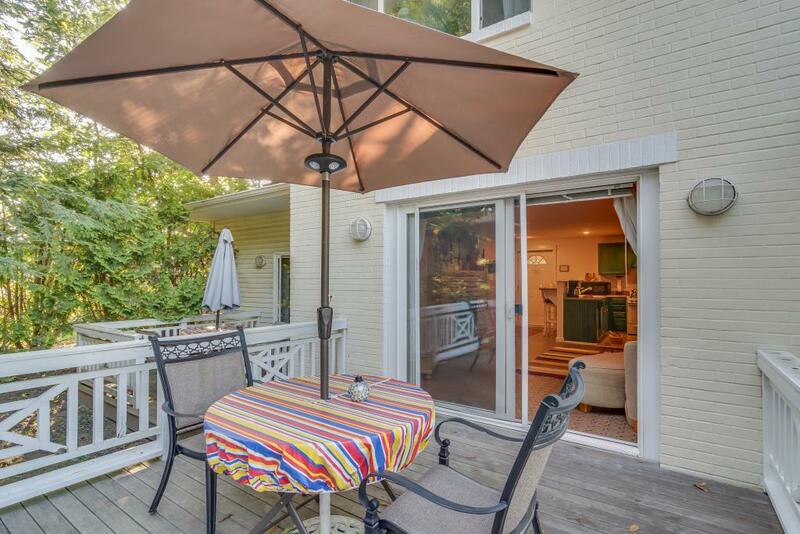 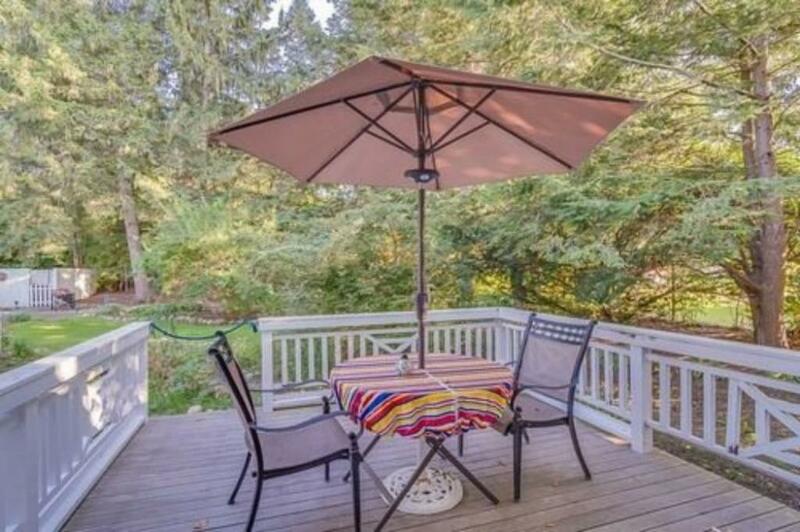 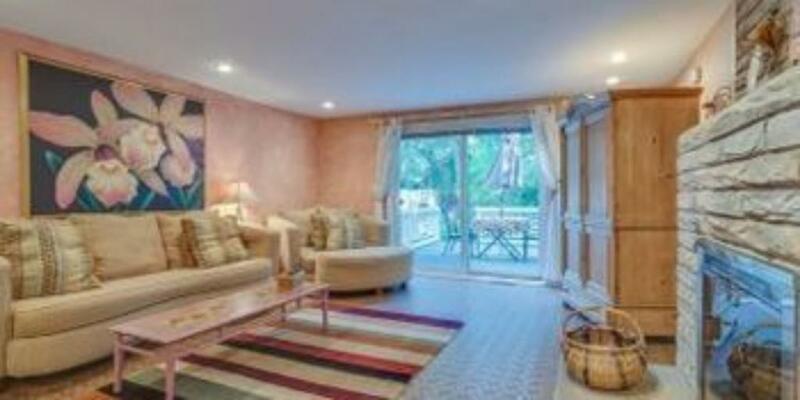 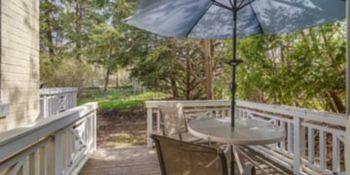 Walk to downtown shops/restaurants and only 6 blocks to Lake Michigan Beach. 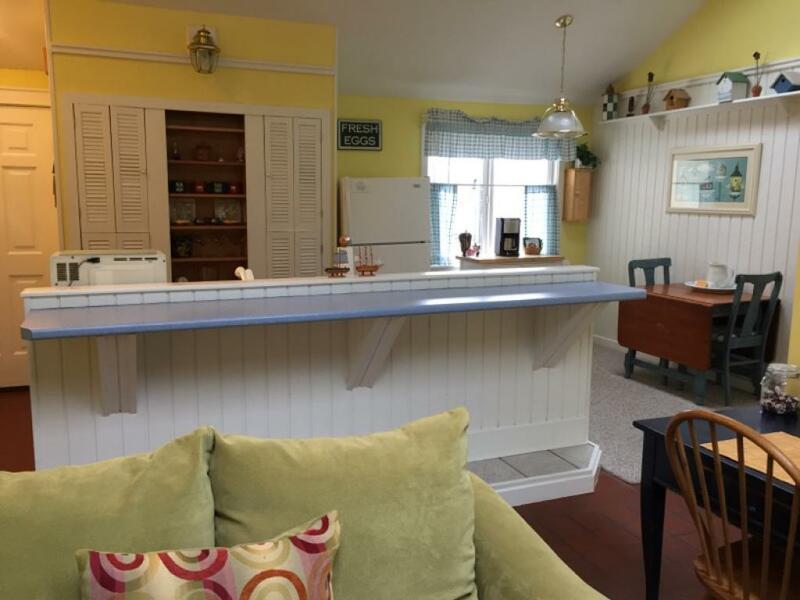 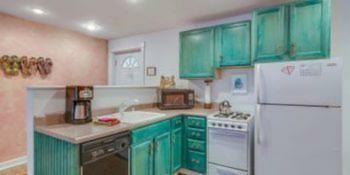 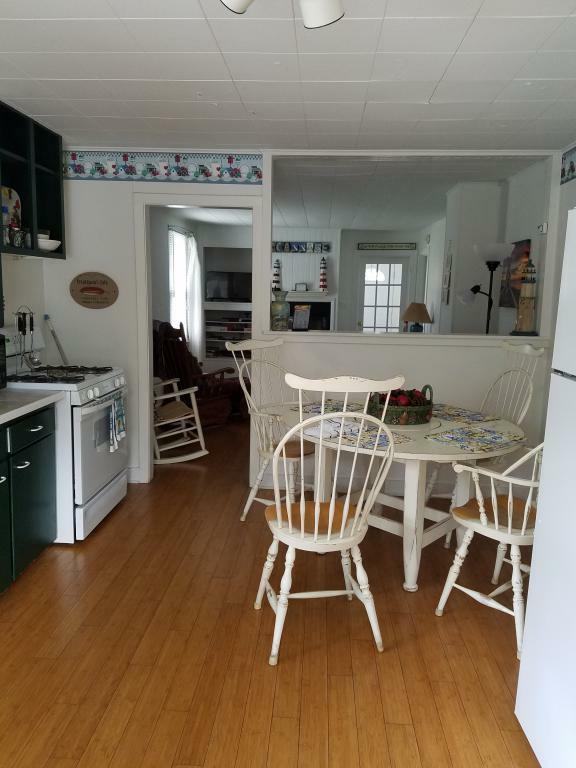 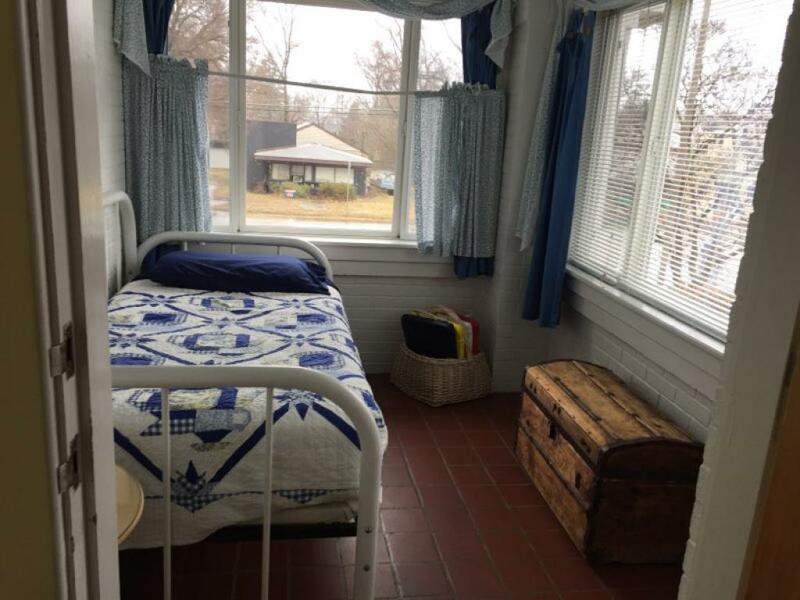 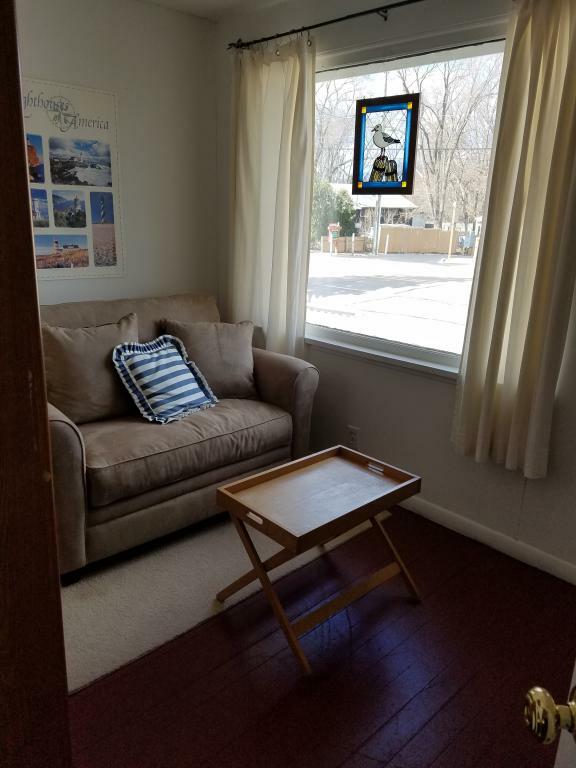 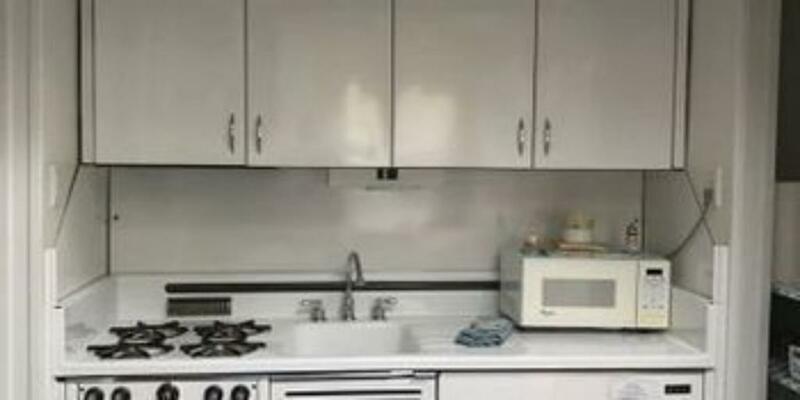 Sunnyside Cottage - Cozy Ranch 3 Bedrooms, 1 Bath (Sleeps 6), Walk to DowntownThis Cozy Ranch House with eat in Kitchen, Family room, Living room, and Beautiful Large 3-season sitting room over looking back yard for evening Family Time. 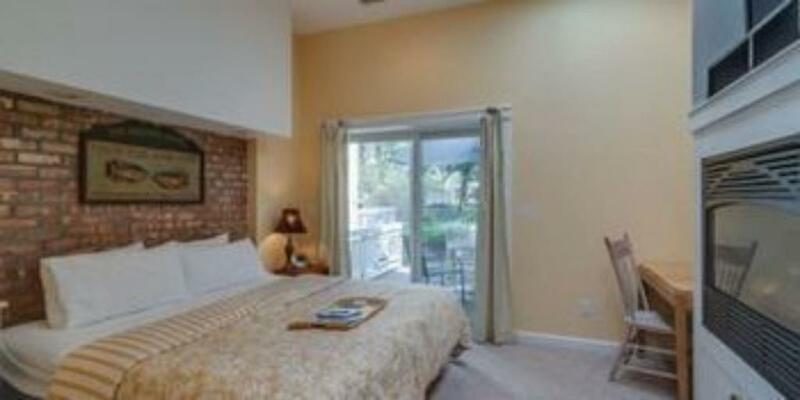 Master Bed Room has a Queen Size bed. 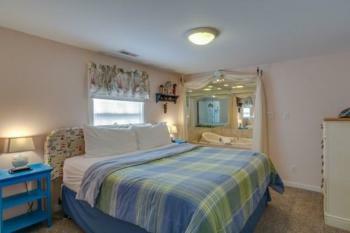 Second guest room , 2 single beds, and third Guest room a Full Size bed. 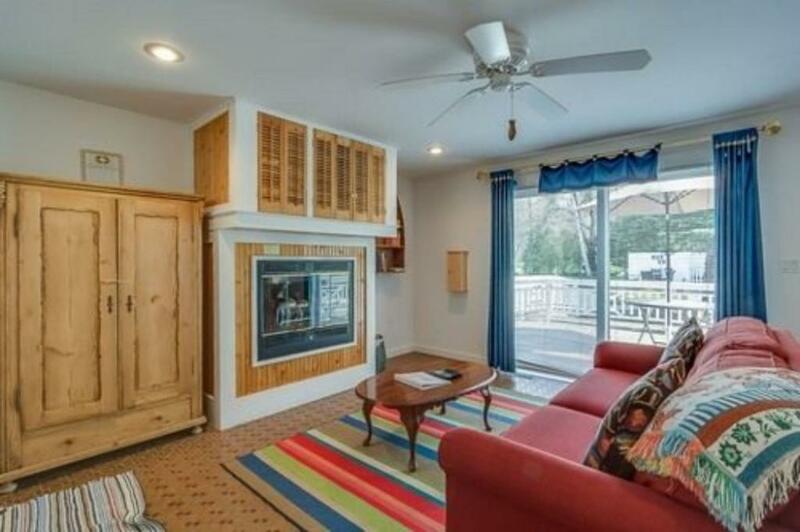 Family room Futon too. 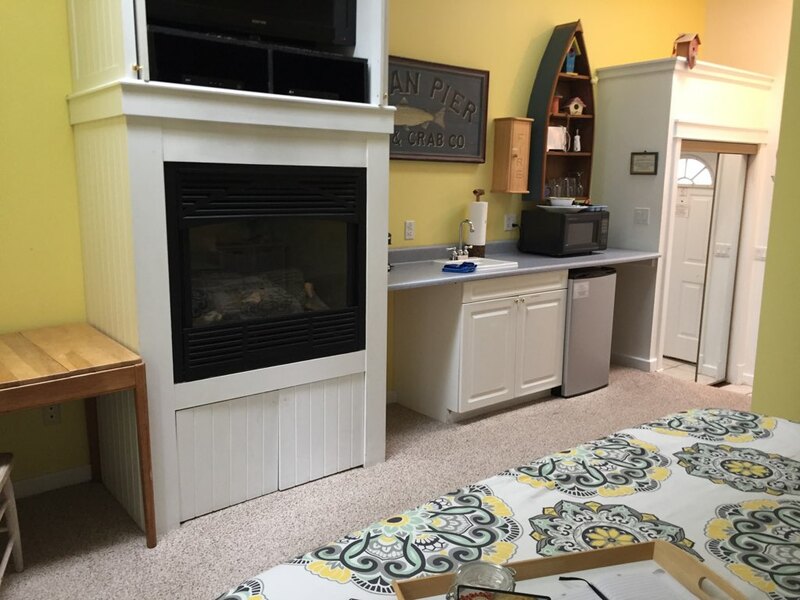 WE have a 40" TV in living room aWe have a digital antenna for our channels and a 55"TV in the family room. 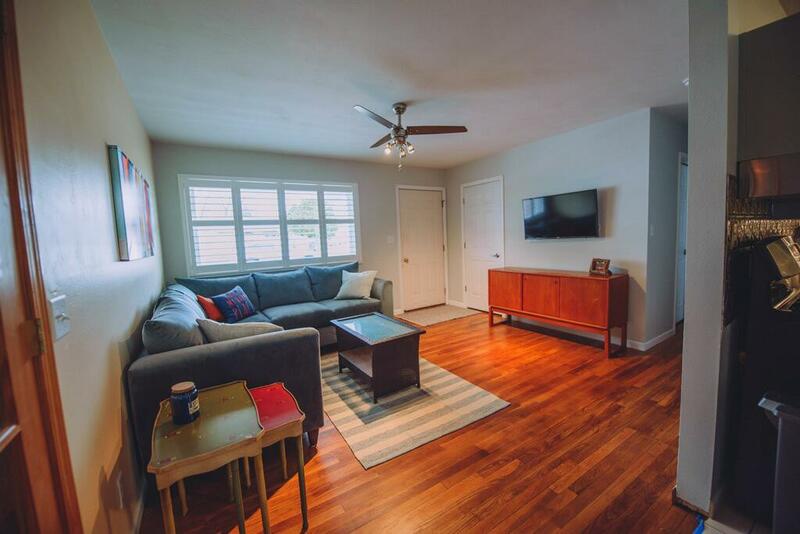 We do suggest you bring your Firestick, Roku or Apple TV. 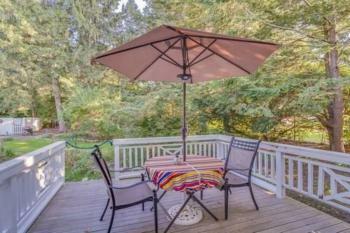 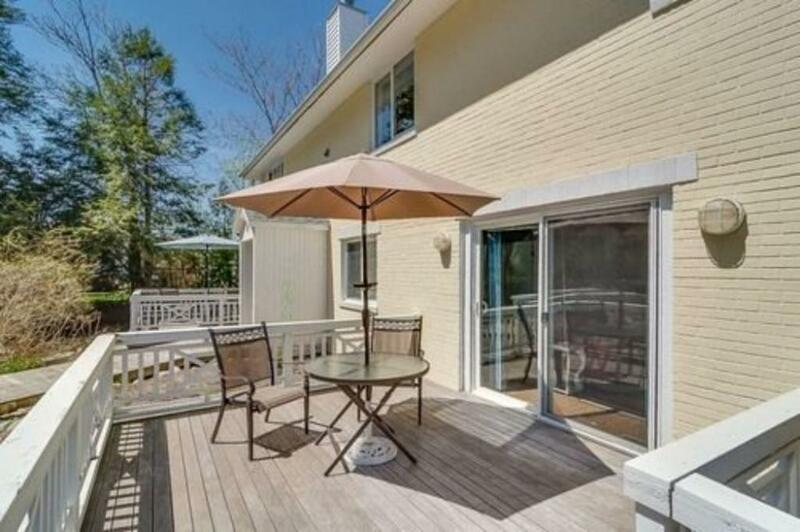 Kick back on the porch or grill on the gas BBQ or enjoy a Peaceful Time around the fire pit. 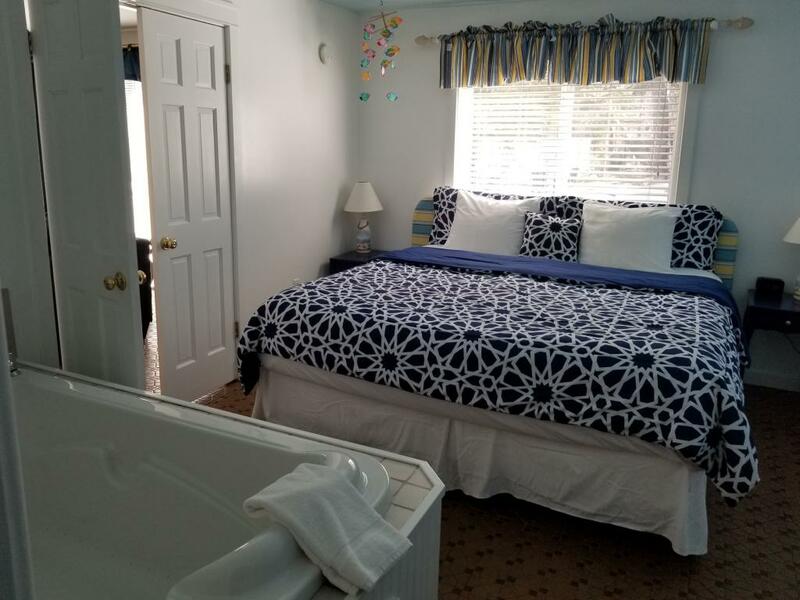 Captain's Nook - Queen bed with standard size Jacuzzi tub/shower with Grohe body sprays, infrared sauna, flat screen TV and small frig. Plenty of room for 2 people. 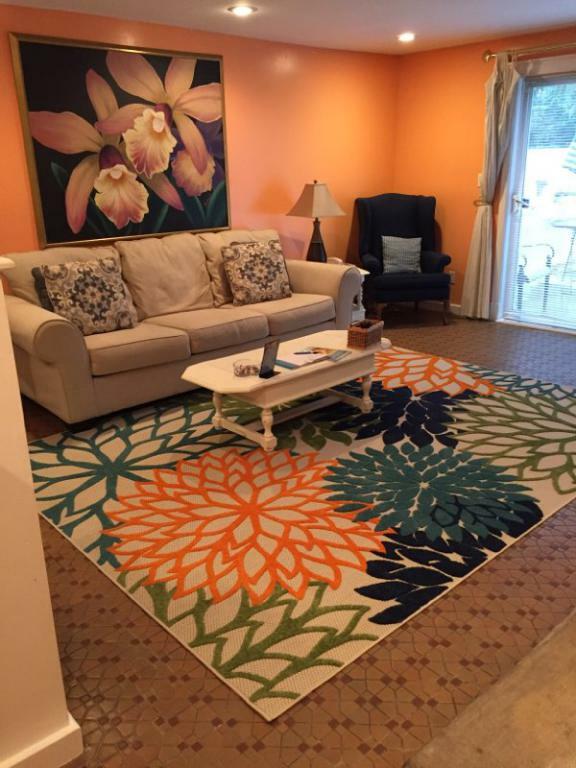 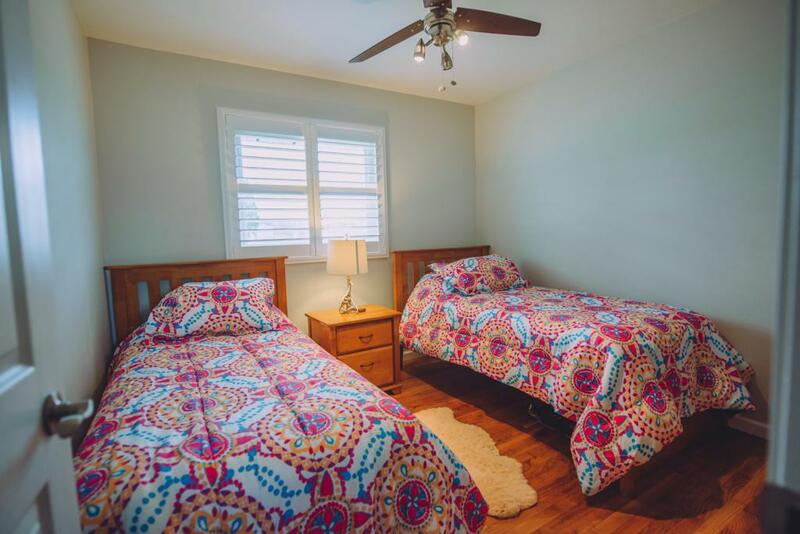 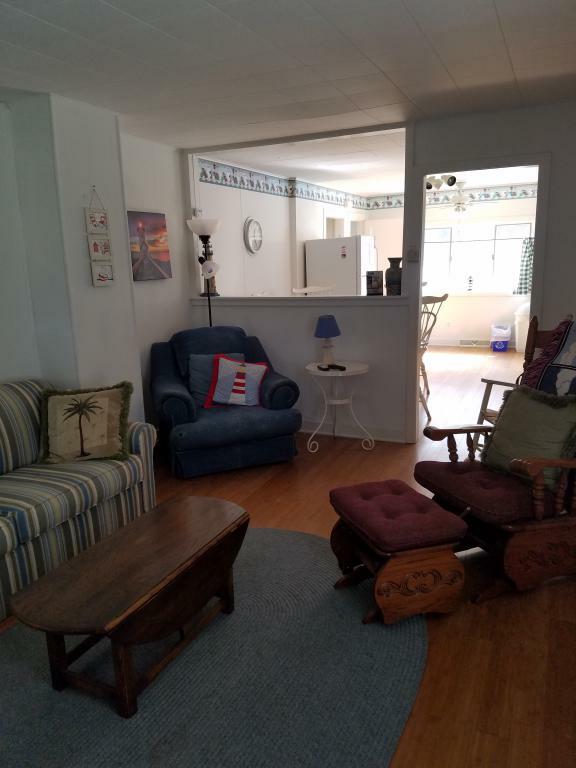 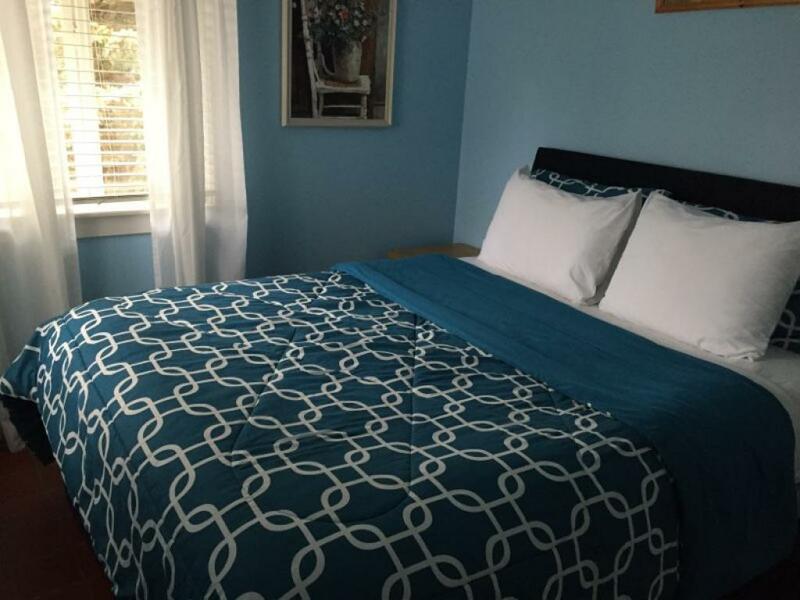 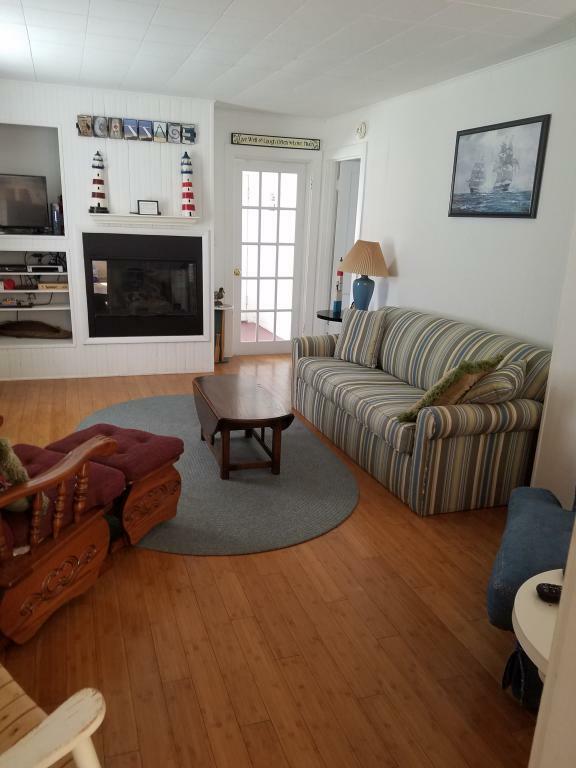 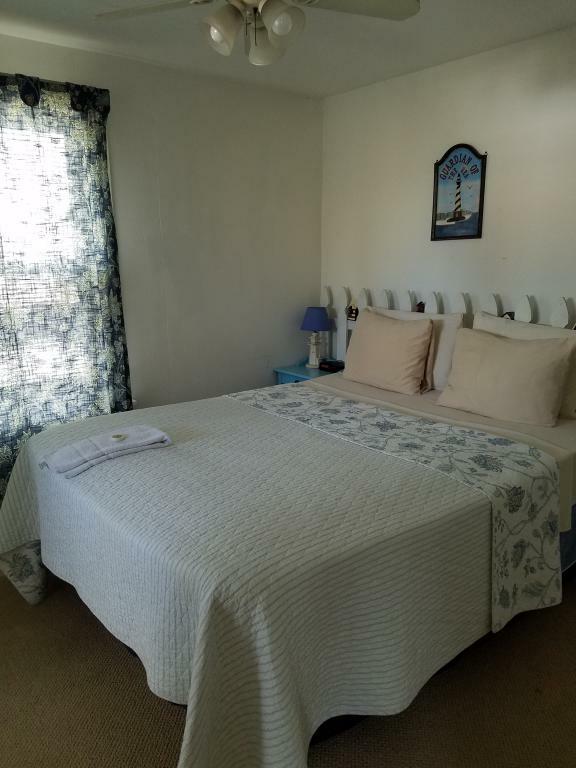 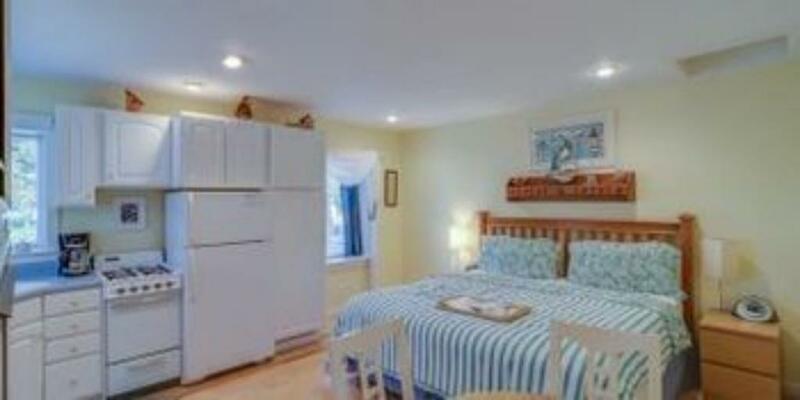 Can be booked solo or connect to Captain Whittaker Suite for a 2 bedroom with 2 bath suite. 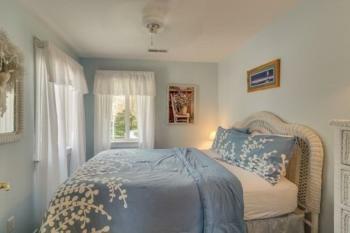 Snug Harbor Suite - A good place to find yourself… in fair weather or foul! Our town’s splendid harbor was named “Snug Harbor” by Paul and Elsie Oselka, whose family developed it into its current popularity. We’ve given that name to this splendid (not too snug) second-floor suite! 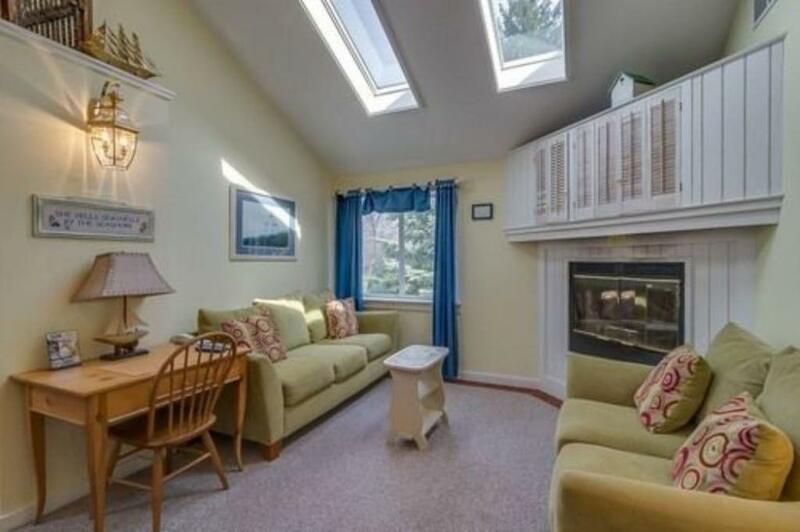 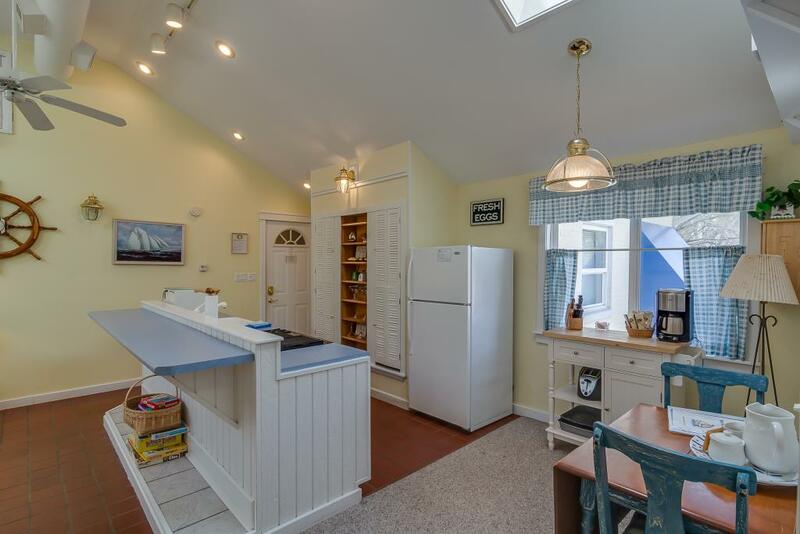 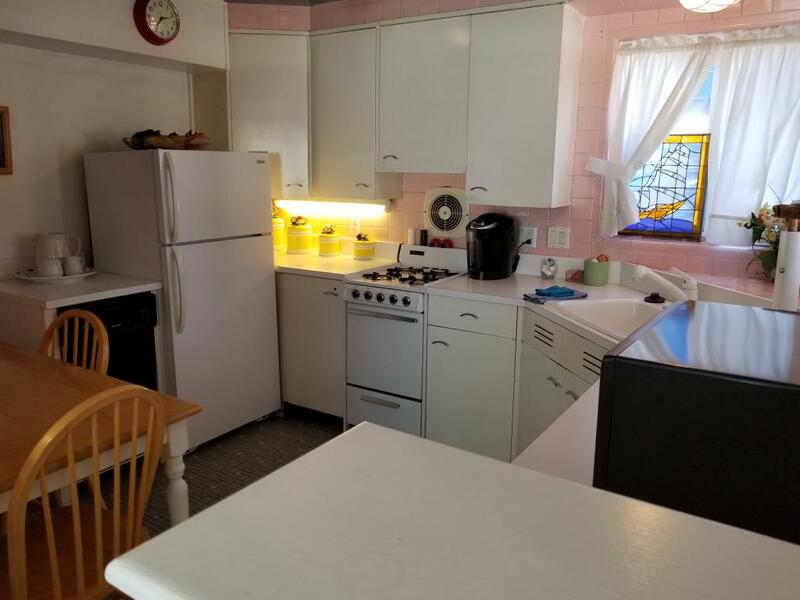 The airy great room, which looks out towards the back garden, has a vaulted ceiling, skylights, a fireplace, and a efficiency kitchen with under counter frig, stove and microwave! 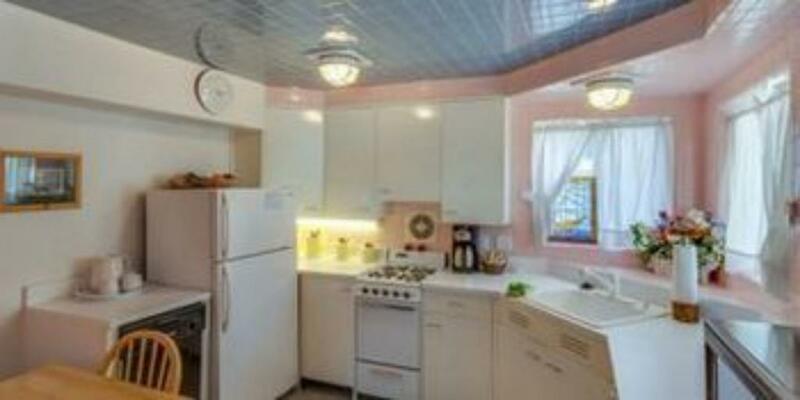 This ship-shape suite is a landlubber’s delight! Named for New Buffalo’s first hotel, this cleverly appointed suite invites you to stay indoors all day. 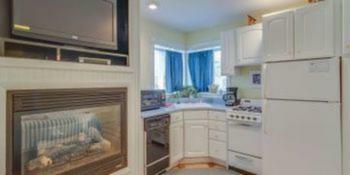 The cozy cheerful room has a fireplace with flat screen TV and a full kitchen for preparing snacks and meals. This room features a magnificent king size bed. 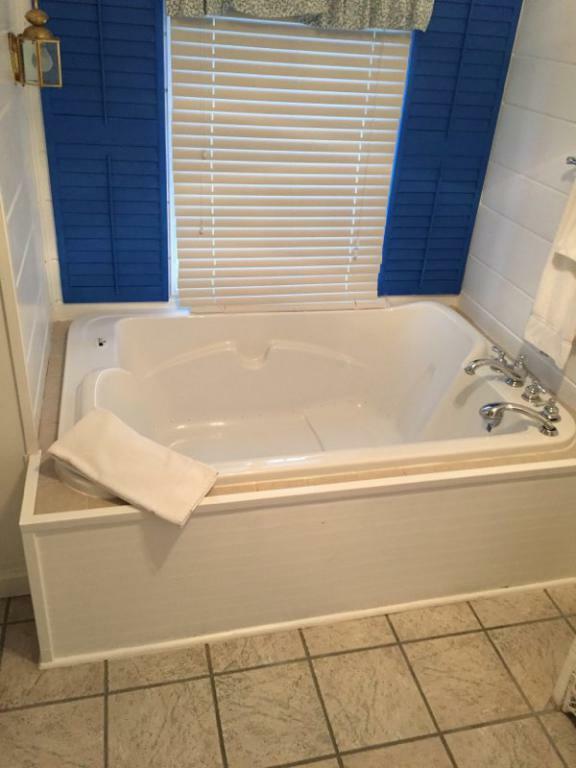 The bath area has a two person Bain Ultra side by side jetted tub with heated backrests and a over-sized shower with Grohe body sprays. 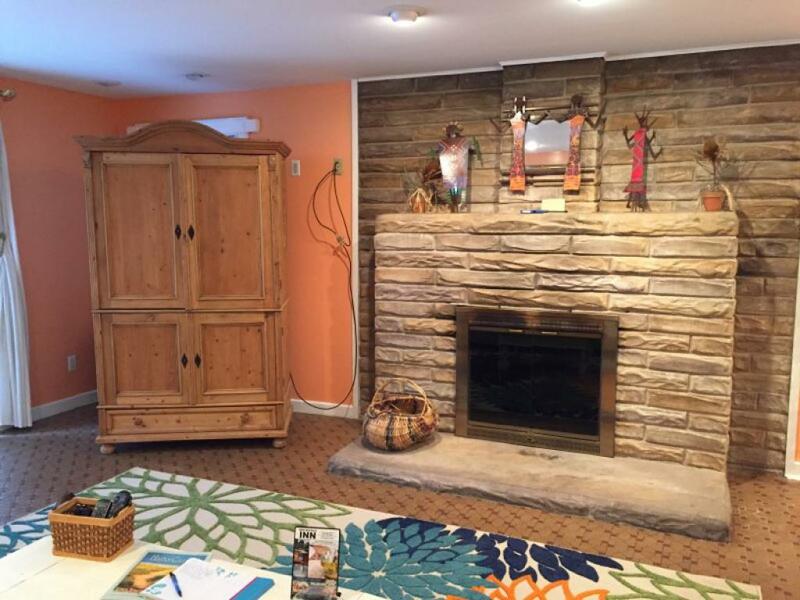 Enjoy the gas fireplace and flat screen TV from the king-size bed. Star-gaze through the room’s skylights or outside on your own deck. Relax in the bathroom’s two-person Sabella Jacuzzi® tub and shower combination. Plenty of room for two! 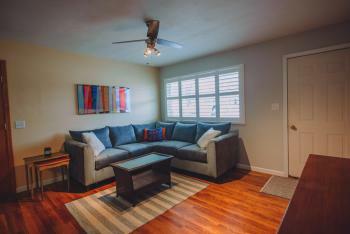 Named for the river that formed New Buffalo’s harbor, this roomy first-floor suite has a living room with fireplace, full kitchen, deck, jetted tub and king bed. 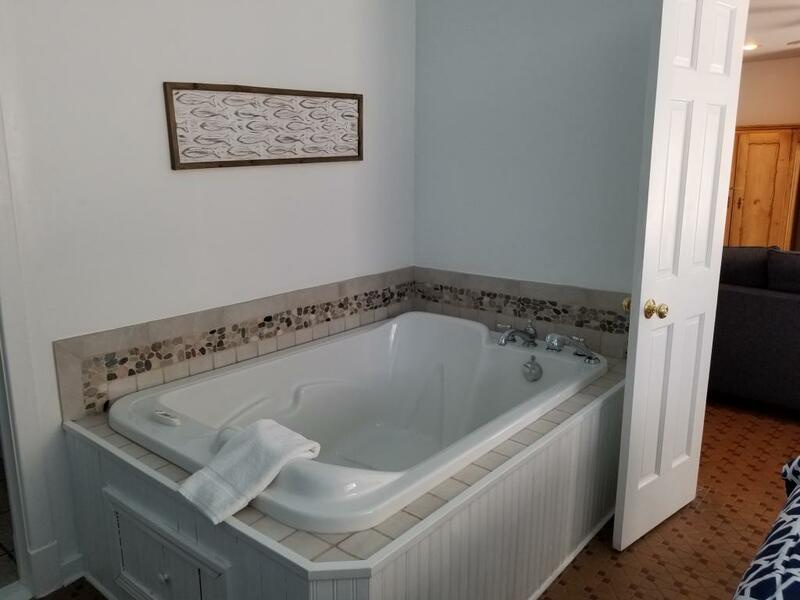 Everything you need to renew and relax! Landing here on the SS Post Boy, Captain Whittaker loved New Buffalo’s spacious harbor so much, he decided to stay. You’ll feel the same way when you discover this spacious suite! 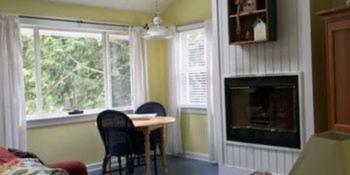 The great room with limestone fireplace and entertainment center opens onto a private deck overlooking the Inn’s back garden. The bedroom has queen-sized bed. 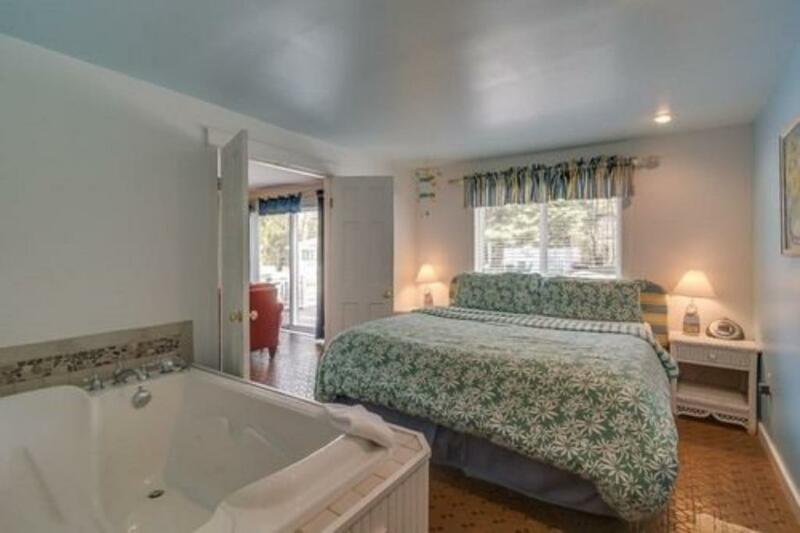 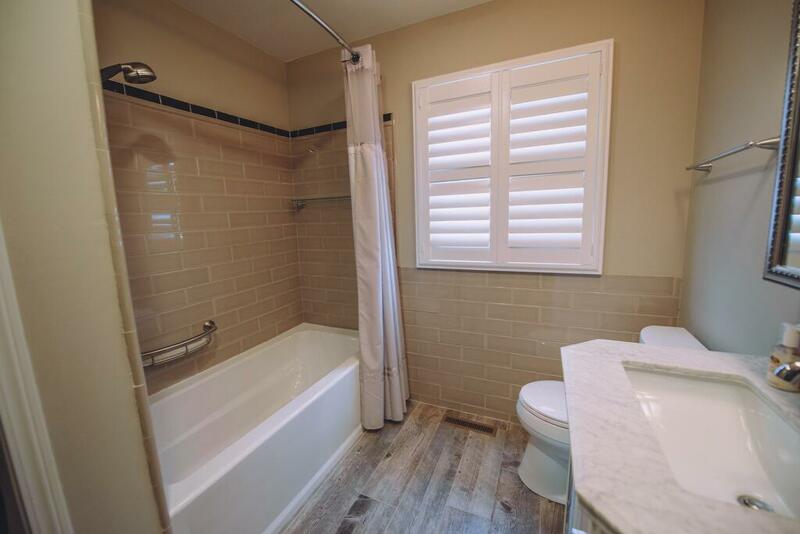 Plenty of space to move around.The bathroom features a two-person Jacuzzi® whirlpool tub, large enough for two! 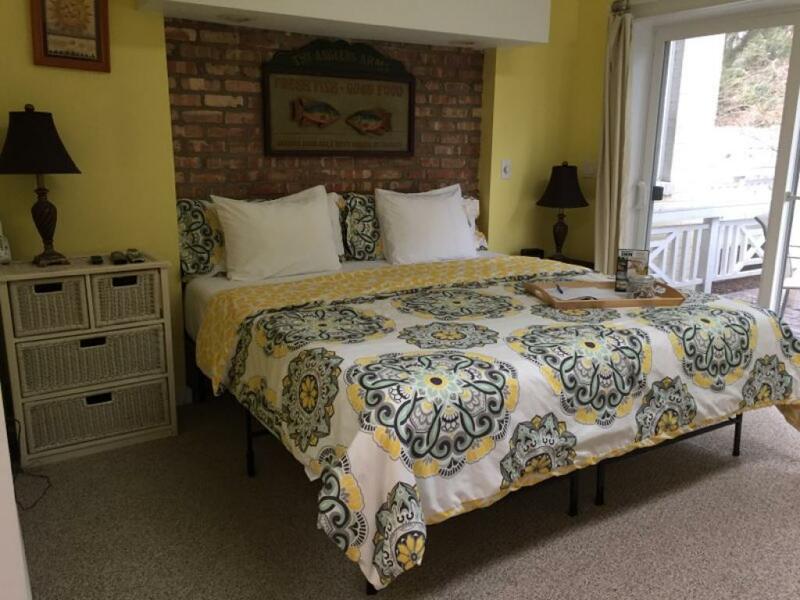 New Buffalo is the ideal carefree Michigan getaway location. 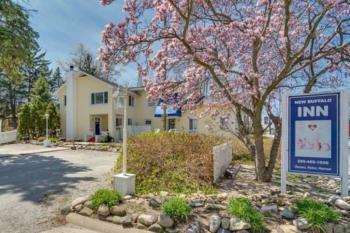 You will feel yourself unwind as you travel through the tranquil back roads of Southwest Michigan. 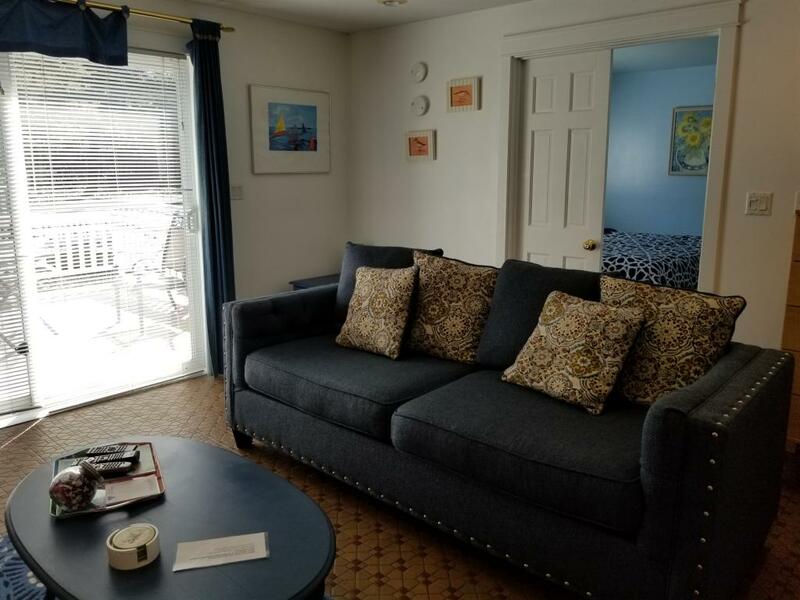 Enjoy world-class entertainment at Four Winds Casino, savor the change in the seasons of Harbor Country, visit historic sites, stroll art galleries, enjoy intimate restaurants - all within minutes and some are within walking distance of the New Buffalo Inn & Spa - your place to ReNew, ReLax and ReTreat. 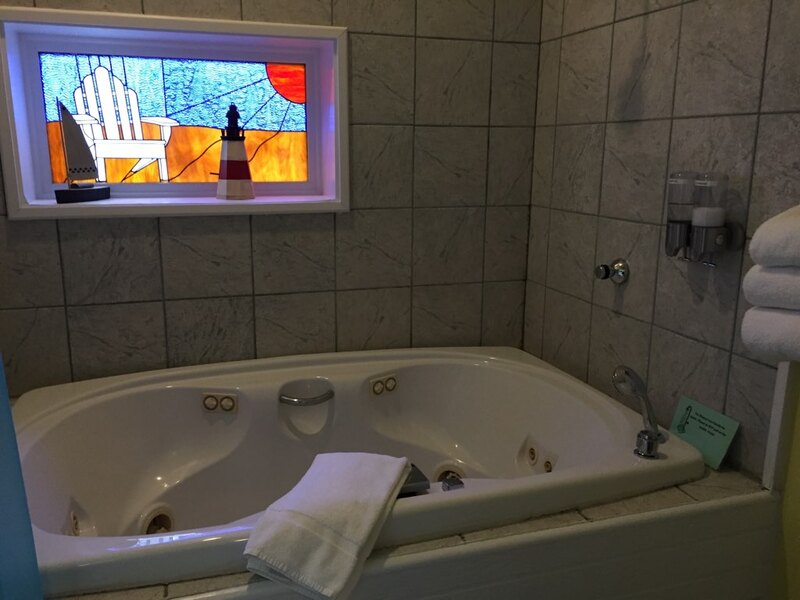 And of course Romance...Not your typical hotel!